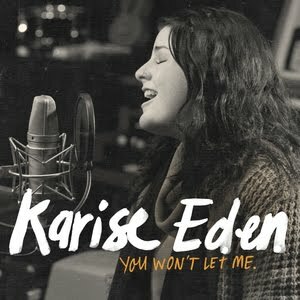 Cover art for the You Won’t Let Me single. There were some great voices, big personalities and well-known music celebrities but it was the space The Voice allowed for emotion and relationship that made it great for me. Winner Karise Eden’s nervous laugh and her look into the eyes of runner-up Darren Percival for reassurance. The facial expressions of Racheal Leahcar, the nervousness of Joel Madden, Keith Urban feeling like everyone got baptised, little snatches of conversation behind the scenes – these and other moments gave some emotional air to prime time television which I think we’ve missed. Then there was the ‘nobody meets somebody’ aspect as coaches got alongside their teams and while this happens in other shows, there was a real sense of ‘we are all the same’ that lifted everyone up. And the cynics will say some or all of this was scripted, but I’m not convinced. It could be the mass euphoria or maybe it was just… nice. Posted in Australia, Music, News, Television.Tagged Darren Percival, Joel Madden, Karise Eden, Keith Urban, Racheal Leahcar, The Voice, You Won't Let Me.